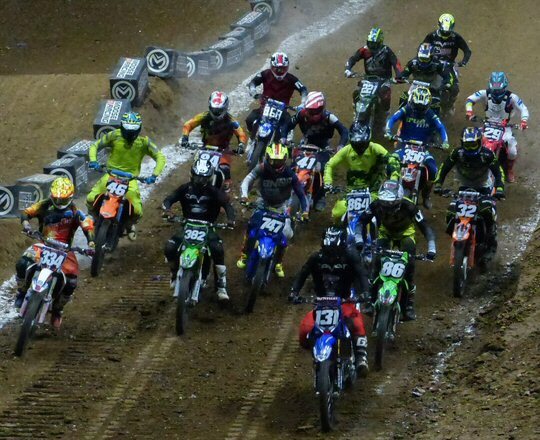 AMSOIL Arenacross rolled into the Bridgestone Arena on Saturday, January 28, 2017. Music City was one of a number of pit stops on the road to the coveted Ricky Carmichael Cup. The 2017 season will consist of a 14-round battle that will travel through 13 different states culminating in Las Vegas, Nevada May 5-7, 2017 to determine the winner of the season. 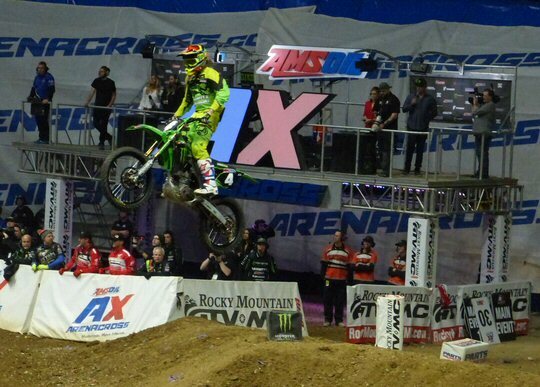 Arenacross – they’re off to the races in Nashville. The 2016 season ended with a close showdown between a trio of teammates with Gavin Faith prevailing in the last leap of faith to be crowned champion. Gavin is back on the circuit to defend his title against other aggressive contenders including Chris Blose, Jacob Hayes, Travis Sewell and more. 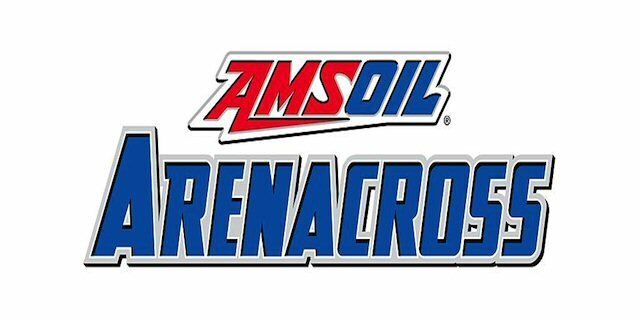 AMSOIL Arenacross is an exciting sport that is affordably priced for the whole family. Arenacross provides an engaging and fun night of entertainment combined with an element of danger as this is a serious sport that requires concentration, skill and some luck. Our night of extreme racing started at the Monster Energy Fueled Track Party that took place right on the dirt battleground. The athletes along with their motorcycles were lined up ready to sign autographs and pose for photographs with enthusiastic fans. Later the riders stayed after the races to give out more signatures. The Monster Girls were also on hand to welcome folks to the track party. Pre-event activities included music, games and commentary about how each venue presents different challenges and conditions that impact the races and how the men accumulate the all-important points needed to get to the finals. Fans in the stands were leaping for joy at the giant jumps on display. After the National Anthem fire and lights were used to heighten the anticipation as the athletes were introduced. The first heat featured a pack of motorcycles rushing over whoops, navigating sharp curves and taking high jumps to gain momentum on the competition. On Saturday night there were a number of spills but thankfully no serious injuries. Heat 2 was compiled of another cluster of dare-devils roaring their way through laps, nailing leaps and landing to the finish line. The furious one-on-one races were an important part of the scoring to get to the finals. Between races the Arenacross stars were interviewed. They were all prepared to thank their sponsors and discuss their races. A number of them mentioned that the Bridgestone track was slick. The league is also wisely grooming the next generation of extreme sportsmen. Between the professional heats were two age brackets of younger riders. The first featured 4-8 year olds followed by an older age group. The top three in both of these clutches were asked questions just like the pros. These up-and-coming athletes were smart enough to know to give a shout out to their supporters especially their parents. There was a lot of twists and turns during the action-packed night at the Bridgestone. The Final Main Event of the evening was a mix of team members all assertively speeding towards the finish line with #101 and #158 in hot pursuit of #5 – Jace Owens who crossed first to be that night’s winner of the 250AX Class Over All Finish. Gavin Faith placed second but was 1st in the Bracket Spot. AMSOIL Arenacross was an edge of our seats, fun event featuring high speed, high jumping competitions from the current stars of this intense sport. The road to Sin City rolled through Music City as the athletes of AMSOIL Arenacross gear up for the 2017 Championship in Vegas. 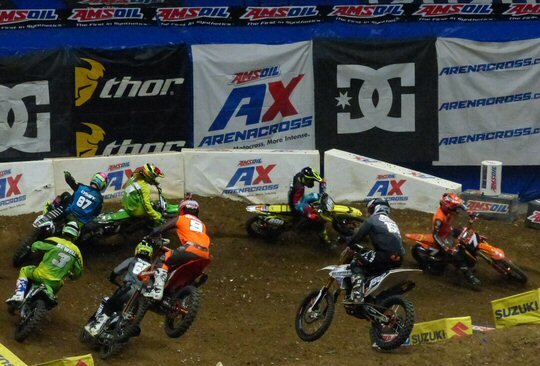 The Bridgestone Arena in the heart of downtown Nashville hosts many sporting events such as the AMSOIL Arenacross. Coming soon to the Bridgestone – Winter Jam, a Tribute to Randy Travis, Ariana Grande and plenty more Predators hockey games. 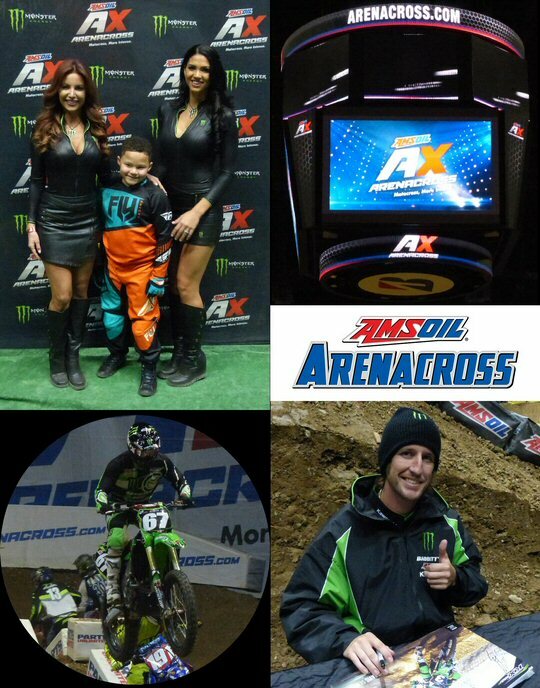 More scenes from the fan-friendly AMSOIL Arenacross.